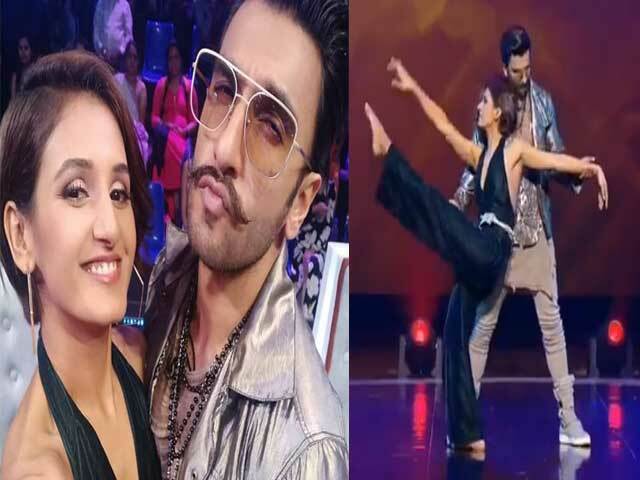 Ranveer Singh Simmba Film Promotion: Ranveer Singh Dance with Shakti Mohan on Dance Plus Set. Ranveer, the highly energized actor of Bollywood, has been in the limelight for his film Simba. Ranveer Singh, who is in the promotion of his forthcoming film, Simmba, recently reached the set of Dance Plus. Where Ranveer played the dance floor with famous choreographer Shakti Mohan. Remo D'Souza, Dharmesh and Puneet, who became judges of the show, saw the two move together at the dance floor, and they did not stop themselves from clapping. Shakti Mohan was also very happy after dancing with Ranveer Singh. Shakti shared the video on his Twitter account, The dancing video of Ranveer and Shakti Mohan is becoming viral. Ranveer Singh has done a lot of fun on the set of dance plus season 4. Also Read: Actress Alia Bhatt feels shy Talking about Ranbir Kapoor. Apart from other actors, Ranveer is always a living person in a mood of fun. Ranveer is also very happy in his films but in public life too. Recently, Ranveer Singh was married to Deepika Padukone. These days, Ranveer Singh is busy promoting Simmba film. Ranveer Singh and Sara Ali Khan's movie 'Simba' will be released on December 28 at the box office. This movie is directed by Rohit Shetty. Ranvir is working with Rohit Shetty for the first time.